This product will be 50% off for the #Nov2017SLPMustHave on 11/7/2017 ONLY! 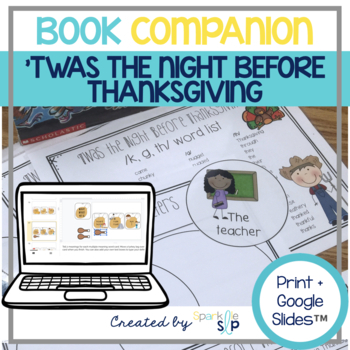 Twas the Night Before Thanksgiving Speech and Language Book Companion. 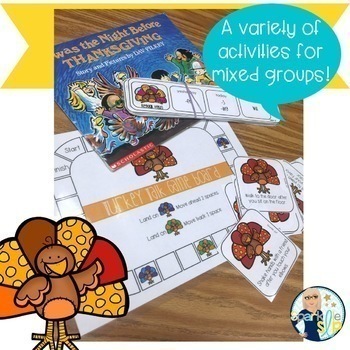 The children in Twas the Night Before Thanksgiving by Dav Pilkey show a great deal of compassion when they "save" the turkeys. What a great book for this thankful holiday. 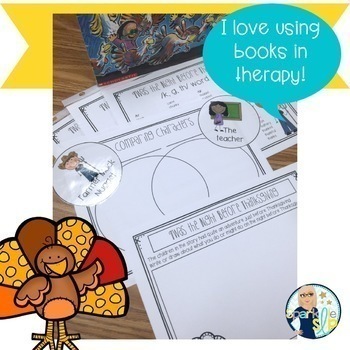 This speech and language companion was designed for use with this book and targets many skills. Sparklle SLP is not affiliated with this book. 'Twas the Night Before Thanksgiving is required to utilize this product. This product was made using Smarty Symblos Images. All rights reserved, 2011-2015. Please provide feedback so I may improve on my products! Thank you!